Ghanaian Hip-hop crooner, Joey B, has been away for a long time and never told anyone why before taking that decision. His absence from the music scene might look short for you but to his fans, it’s been long hearing from him. Though the “Tonga” hitmaker has been behind his good friend, Pappy Kojo, and working with him on his latest tracks, he stopped producing his own works for years and we missed him. But thank God he is back and back with a yet to be released studio album called “89”. Announcing his triumphant comeback, he dropped two instant hits from the album. He dropped “U x Me” and “Fiend” on the same day with their respective music videos. The third surprised that followed up is called “FOH” and it features AMG Business label artiste, Medikal. The song got itself trending for days when it dropped because of its content – life journey! I fell in love the first time I heard it because it has something to do with my life. Though Joey B once tweeted that “FOH” is a true life story, it was hard for some fans to get it. Some didn’t see or even got the meaning of his tweet, but I did. 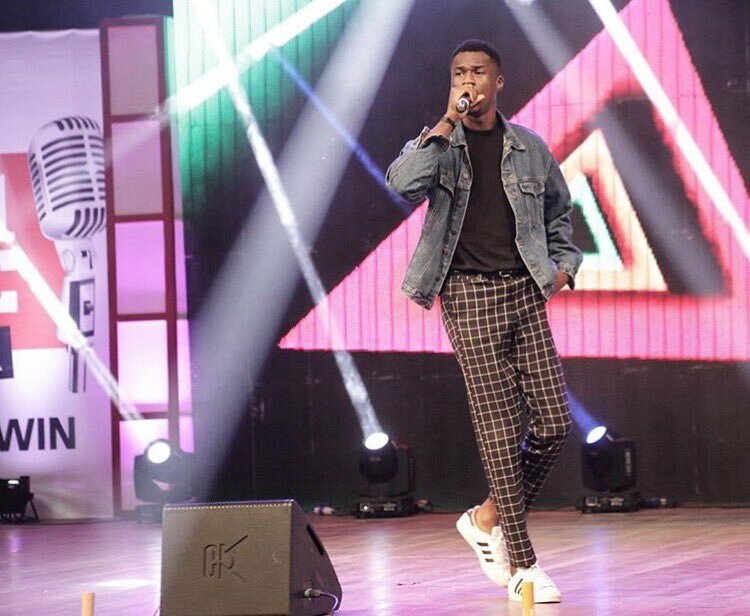 Joey B was trying to tell the world what he has been through before making this significant comeback. “FOH” is the acronym for ‘F**k out of here’ as it portrays on the cover artwork. The title may sound rude, but you sometimes have to gather guts to f**k out some people in your life because they add no value to your life – always pulling you back. After listening to the song for some hours, I decided to put together the real life stories Joey B was talking about in “FOH”. Maybe you can get acquainted to them after reading and listening to the track. Checkout 8 reasons why David Mawuli thinks “FOH” is a true reflection of life. Joey’s chorus summed up life! 1. Being rejected by everyone around you. Sometimes, you will feel so rejected you ask yourself why you exist. Joey stressed how you won’t get help from your close friends when you need most. “I reached to some point nothing need me, God’s been good,” Joey B said. 2. People will discourage you. According to Joey B, when he was going through hard times, people forced him to give up and he didn’t. “They use to tell me chale shun…it won’t happen,” Joey disclosed on “FOH”. It hurts so much when someone tells you tis and I know you are also going through the same. 3. Haters will always pray you flop in life. “Bro, I’ve been places – they told me I will flop,” says Joey and you know it’s exactly what you are going through. All they want you to do is to flop so that they can stand out in your absence. 4. They don’t want to have a hand in your strive for success. “They used to have a hand in anything I wanted to be,” Joey divulged. Hope you understand this! 5. The same people will start getting closer when you achieve success. And when you achieve success, they will be all over you trying to enjoy your sweat. “Now they wanna be my friends only because I am doing it big,” Joey B said. 6. Your crush will be throwing herself at you. And your crush will be chasing you everywhere she meets you. “I see my crush at my show with her top off, what is she trying to do,” said Joey B. 7. Be glad that you made it. But here you are making it big. Be glad – rejoice! 8. And it’s time to tell them “FOH”. Yes! Tell all of them f**k out of here!